There are many things to think about when driving abroad, mainly how to negotiate roundabouts that go the other way! Below is a guide to what various countries legally require, although there are many more things that are strongly advisable. Pop in to have a chat about where you’re going and we can advise the best things to take. Early in 2015 the French Government announced a road safety action plan with 26 measures and some new laws have been introduced effective from 1 July 2015 including the prohibited use of headphones & flip flops, eating at the wheel and the volume of music. For more information on these new laws please visit the AA website. 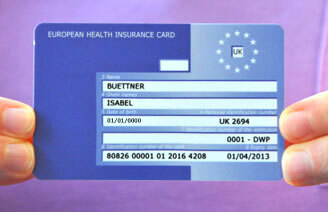 Have you applied for your free European Health Insurance Card (EHIC)? The EHIC is valid in all European Economic Area (EEA) countries. Click here for more information from the NHS website.